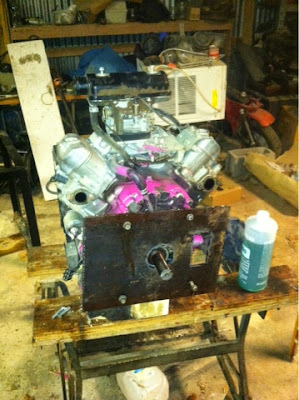 We are dry fitting the engine, tanks and pump. The plates have been drilled and fitted. Grant is tack welding on the pump mounting plate. 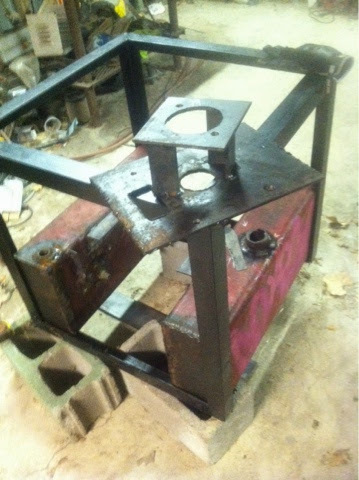 The engine and pump mount plates are tacked together. Now they're ready for finish welding which will solidify the four pieces of metal. Here you can also see the tanks sort of fitting into the frame. We still need to re-check them for leaks and attach them to the frame. These tanks are really hard to move on their own due to their weight. When combined with the frame it is no longer feasible to lift by hand. 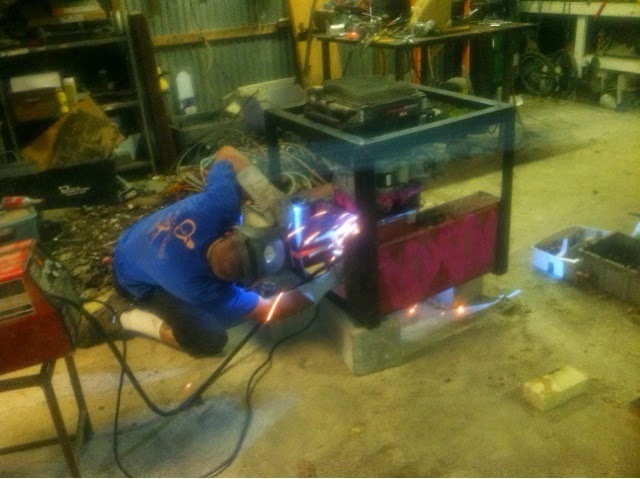 I think we're going to have to build a hoist, which we'll need later anyway to attach the Powercube to the Artcar.